Note: This branch is already closed. 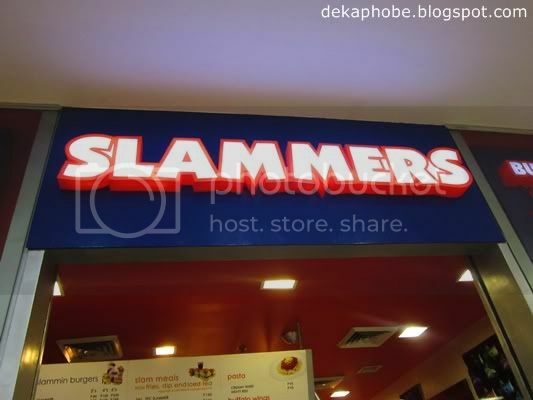 Slammers has become one of go-to places whenever I'm craving for a burger. 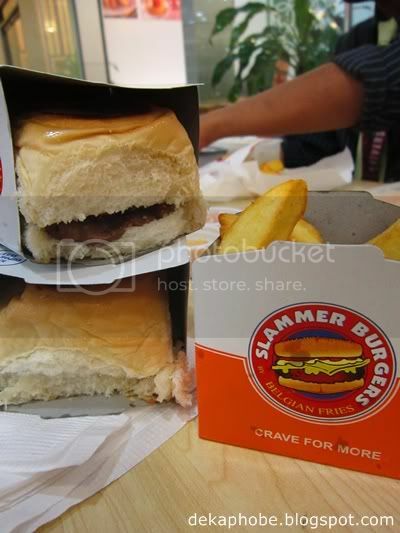 What makes Slammers special are the mini burgers and the belgian fries. Unlike the usual burger restaurants, they serve cute but delicious 3-inch burgers. 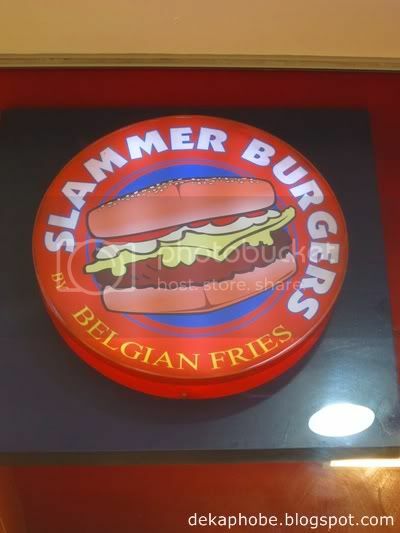 And if you're a fries junkie like me (still not doing my 2012 goal: avoid fries), Slammers has quite a variety: Belgian fries, crisscut fries, potato wedges and mash potato crispers. I would always order Slam Meals. 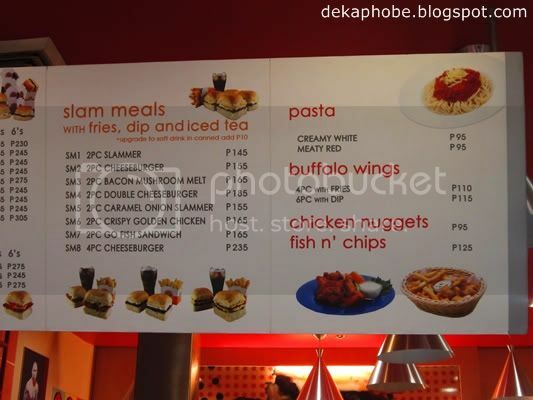 Slam Meals come with fries, dip and iced tea (just add Php 10 to upgrade to softdrink in can). 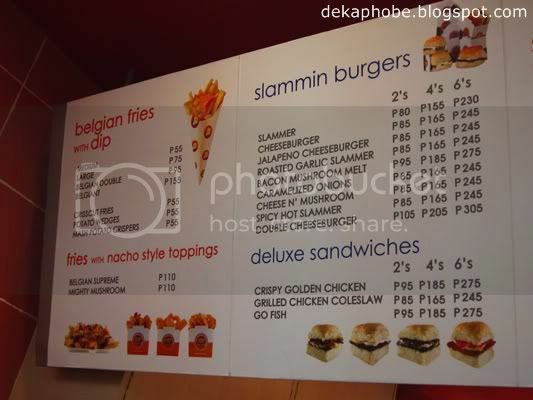 I ordered Slam Meal 3: 2 pcs Bacon Mushroom Melt (Php 165) while my friends ordered Slam Meal 2: 2 pcs Cheeseburger (Php 155) and a medium Belgian fries with dip (Php 55). 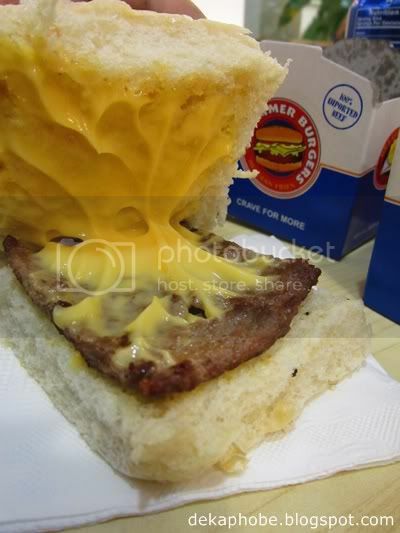 I liked the carton holders of the burgers that I didn't create a mess while eating, which I always do with the regular burgers. The burgers are just right, not too dry and not too juicy. 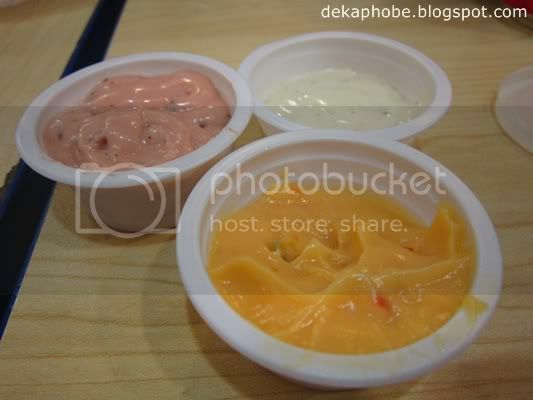 We got the following dips: Roasted Garlic, Barbeque and Jalapeno Cheese. 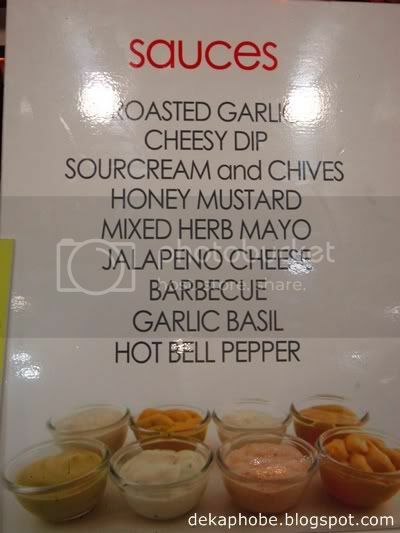 The Japaleno Cheese dip wasn't that hot, the Barbeque dip is also good. However, I love the Roasted Garlic dip! Must. Fight. The. Urge. To. Order. Burger. I'm also a fries junkie michy! 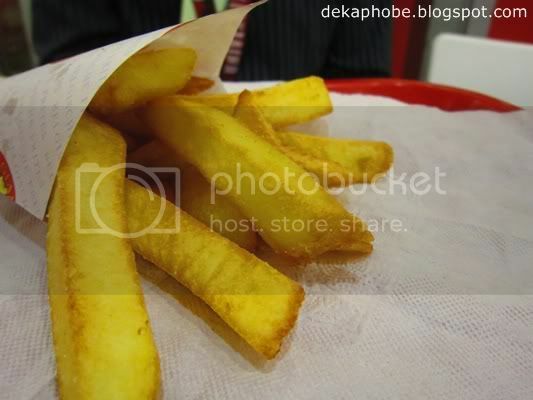 and it's part of my secret goal too for 2012, but every time the sight of fries say hello to me I can't resist but to pick out..LoL...and the inviting aroma of it when served hot. yummm this looks really good! I havn't tried this yet but it reminds me of white castle and new york fries. Hmmm ... mukhang interesting though naloka ako ng slight sa tinapay haha. i never tried this even if i see it always. good you reviewed this.